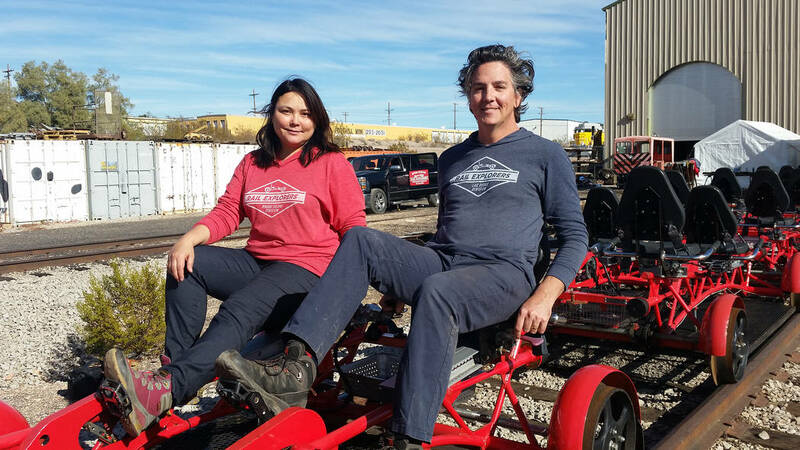 People in Boulder City can now pedal down the railroad tracks as a new rail bike company is open and offering tours. Celia Shortt Goodyear/Boulder City Review Mary Jo Lu and her husband, Alex Catchpoole, founders of Rail Explorers, have started their Las Vegas division, which opened for tours Wednesday at the Nevada State Railroad Museum in Boulder City. “The magic of steel wheels on a steel track is that they are effortless to move along the track,” said Alex Catchpoole who started Rail Explorers with his wife, Mary Jo Lu. Rail Explorers offers rail bike, a pedal-powered vehicle, tours in Boulder City on the Nevada Southern Railway tracks. Lu had the idea to start Rail Explorers in 2012 while she was watching a Korean soap opera and saw one being pedaled along a railroad track. Ten days later she was in South Korea to do more research, and three years later the company started giving tours between Saranac and Tupper lakes in New York’s Adirondacks. It opened its Las Vegas division on Wednesday in Boulder City. “I just think it’s so exciting that this is the launch for us in the West,” Lu said. In Boulder City, Rail Explorers offers The Southwest Ramble, a 4-mile downhill ride from the Nevada State Railroad Museum at 601 Yucca St. to Railroad Pass. “Everyone can pedal, but they all don’t have to,” Catchpoole said. The rail bikes come in two sizes. A tandem has seats for two people and a quad has seats for four, and people of all ages can ride them, Catchpoole and Lu said. Each seat has a seat belt and each bike is equipped with a brake that one of the riders manages. Those 16 years or older can operate the brake. Adults can bring babies on the ride, but they must carried in a front pack. Rail Explorers provides a five-point harness for child riders. After the ride, there is a 15-minute break at a rail-side picnic area after which the riders will catch a ride back to the top of the hill on one of the Nevada State Railroad Museum’s historic trains. The train ride ticket is included with the tour. Lu said another reason she and Catchpoole were attracted to this area was because of the frustration they experienced with having to shut down their other locations during the winter. “There’s been a lot of interest and excitement about bringing it here,” she said. 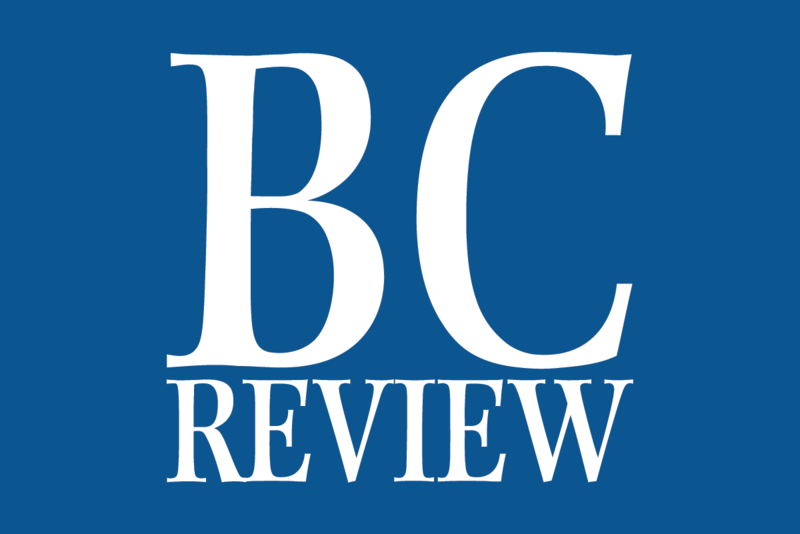 Catchpoole said that with Interstate 11 coming in and bypassing the city, Boulder City is doing a good job of making it a destination place. “We’re proud to be a part of that,” he said. Since opening in 2015, more than 55,000 people across the country have used Rail Explorers, and Lu and Catchpoole have expanded the business with locations in Rhode Island, Delaware and the Catskills in New York. They are originally from Sydney, Australia, but have lived in the United States for approximately 15 years with their two children. Rail Explorers is offering a limited season in Southern Nevada through April on Wednesdays to Sundays. Tours are offered at 10 a.m., noon, 2 and 4 p.m. Wednesday through Friday, and at 9:30 and 11 a.m., 1 and 2:30 p.m. on Saturdays and Sundays. Ticket prices are $85 total for the tandem bike, and $150 total for the quad bike. Each ticket also includes the train ride and entry for the Nevada State Railroad Museum. Advance ticket purchase is recommended and can be done at www.railexplorers.net or by calling 1-877-833-8588.